All Other South Bay Cities! Looking for a great San Jose Tutor? From elementary all the way up to college and graduate school, our experienced team at Grade Potential ensures that you’ll receive the highest quality tutoring on your way to achieving your goals, all at an affordable price! We've worked with thousands of local students, so we know what it takes to be successful around here. Architecture tutors in San José sight many reasons behind the lack luster cityscape, which has received a great amount of criticism by San José citizens. In more recent years the gentrification of downtown areas in cities across the world has been the norm, as the individual cities have moved away from their original industry and buildings have needed new life injected into them. For varying reasons San Jose did not choose to preserve the original architecture of many of the original buildings in the downtown area. They chose instead in the 1950s to take down whole blocks and build brand new comparatively sterile looking structures. Only a few of the original buildings survived the mass demolition, and include the Hotel De Anza and Hotel Sainte Claire. The few remaining buildings are now officially listed in the “National Register of Historic Places” in order to preserve them for generations to come. More recent development was stunted because of the close proximity of the Mineta San José International Airport. Its location has meant many restrictions being in place in downtown San José with regards to the height of potential building redevelopment. These restrictions have complicated planned development and made those wanting to invest second guess their options. A new way that local citizens have managed to exert some interest into the otherwise drab cityscape is by art installations. However even with this well-meaning attempt to elevate the surroundings there have been some ‘misses’ design wise, which has led to even more negative feedback. An example of this was the decision to create a statue of the winged serpent “Quetzalcoatl”. From the get-go there was varying enthusiasm for the project as some religious groups pointed to the statue as being inappropriate because of its inherent Pagan symbolism. When permission to build the statue was passed and funds were granted to artist Robert Graham the final design left many perplexed. It received a large amount of criticism for its unfortunate resemblance to a heap of feces, and for its ridiculously high price tag. San José tutors are quick to point out that other public artwork projects have been very successful and they actively encourage their students to come up with new ways to enhance and put their own stamp on their city. The perceived drab surroundings have not crushed the spirit of the extensive network of performing arts companies that actively meet in the city. San José has numerous art programs and entertainment available to the residents. 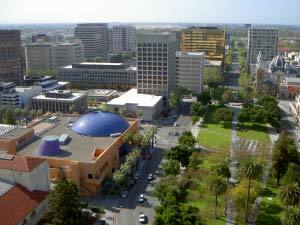 San José has its own prestigious opera company “Opera San José,” orchestra “Symphony Silicon Valley”, and ballet “Ballet San José Silicon Valley.” San José also plays host to various film and jazz festivals. Grade Potential Tutoring is proud to provide San Jose students with the opportunity to win a semi-annual college scholarship of $1,000! We are proud to assist students with their investment in education. Many local families trust us with their educational investment on a regular basis, so we feel great about giving back in a similar way! Click below to learn more about our scholarship program and how to apply.